If you’ve been an avid cyclist since you were a kid, then you might be as passionate about cycling as we are about the new capabilities the cloud brings to businesses today. As viewers watched the Tour de France this year, it dawned on us just how much the tour is like a company’s move to the cloud. The roles and successes of a Tour de France team can easily be compared to a migration to the cloud. The race is made up of twenty-one days of individual races, or stages, and the shortest time across all wins. The inidividual tour stages are much like a company’s move to the cloud in that you have many small wins along our journey. These small wins may resemble a particular application or even a smaller business unit completing a cloud migration. The final finishing stage could be compared to completing the last portion or segment of your cloud roadmap. One of the impressive aspects of the race is the peloton, or largest pack of riders, that barrels down the road at staggering speeds. As the size of the peloton increases so does efficiency of the entire group. The overall rider power output (we’ll call this cost) decreases as we utilize the peloton (or cloud) effectively. This reduces the cost per unit because of the operational efficiencies and synergies. This concept can be compared to the same economies of scale that we benefit from as we utilize the cloud. As we run our business today, uptime and recovery time are of the essence. This is also true in the tour since trying to repair a single bike in the middle of the race will cost valuable time and a possible loss of revenue. The team car acts as our autoscaling group, in AWS terms. When a rider, especially a main contender (production instance) has an issue with the bike, the team car delivers an entire new bike, as opposed to trying to fix the current one. This is the same mentality we take in the cloud, if an instance is not performing or crashes, we terminate it and create an entirely new one. This type of automation keeps our availability high and our application performance at the desired level. Having a team dedicated to the cloud is as important as the teams in the tour. Each of your team members has a role, including a cloud engineer, cloud architect, product owner, etc. The tour teams also have individual roles where each provides a specific function to create the best opportunity for one of their teammates to win the overall race. One of the most critical roles of the cycling team is called the “Domestique.” This individual is responsible for many selfless duties throughout the race. Some of the tasks consist of being the lead out man for the sprinter, or pulling the head climber up the mountain only for him to cross the line first with his hands in the air. The domestique also falls behind to collect the food bags and water bottles, and then races back up to his team for delivery of the essentials. 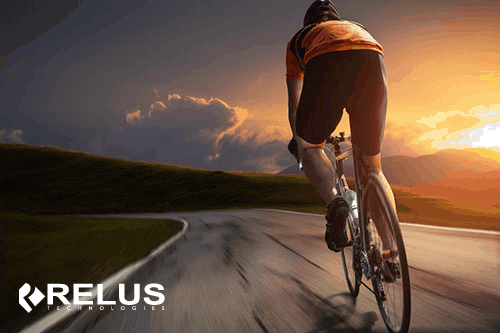 Just like the domestique, we at Relus, give a 100% to our customers and want them to achieve a win. We want to help you along your journey to the cloud by providing a roadmap, providing the tools you need, and leading you to a successful migration to the cloud. Contact a Relus Cloud Specialist today, and let us be your “Cloud Domestique”.